Small pillars that are used to support a railing, such as on a staircase. These are often decorative in appearance. Wrought iron balusters and wood balusters are often similar in cost and strength. Solid iron generally costs more than hollow iron and also costs more to ship because it is heavier. 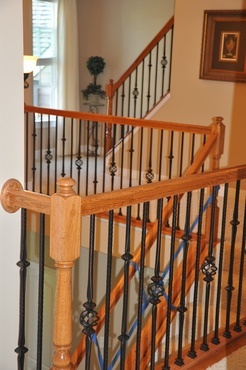 Balusters can run from about $1,200 to $1,600 for a home staircase.